The Fordham squash team held its first home matches of the season this weekend, and the home cooking served the Rams well, as they took four out of five matches to move their season record to 11-4. Believe it or not, the weekend started on a difficult note for the Rams, as they lost every individual match in a blowout loss to No. 12 Virginia University on Friday night. The Cavaliers were the second ranked opponent for the Rams this season, with the other being Navy. 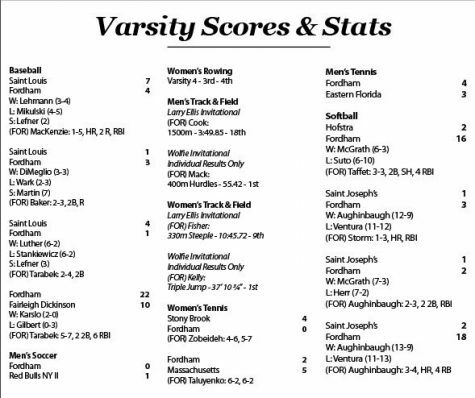 Friday night’s match—one in which no Fordham player took so much as a set—would be the Rams’ last defeat of the weekend. 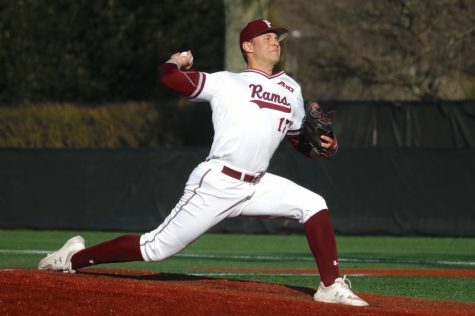 Fordham started to get things rolling in the right direction with a 6-3 victory over Washington University (St. Louis). 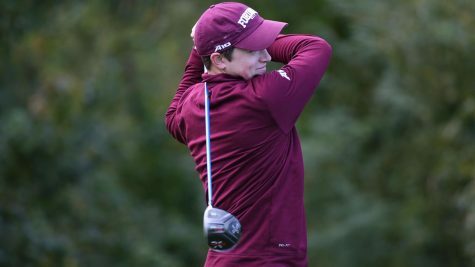 Fordham caught a break in the first individual match, as freshman Patrick Rodden received a victory when Washington’s Russell Scharf retired before a fifth and decisive set. The Rams ripped off five of the next six individual victories to clinch an overall victory in the match. The win was highlighted by sophomore Justin Deckoff and freshman Dylan Panichello, both of whom won their contests in straight sets. 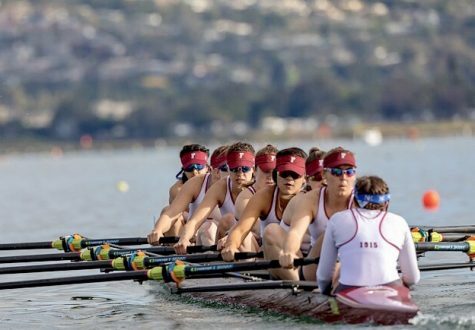 The afternoon portion of the proceedings featured a matchup with Swarthmore College. The Rams were looking for a sweep on Saturday, and their performance did not disappoint. 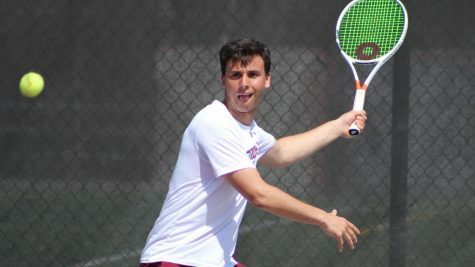 Fordham took the match 7-1 over the Garnet, with Swarthmore’s only point coming towards the end of the match when Fordham did not put one of its players up against Eddie Wu. Fordham headed into Sunday’s matches with a 2-1 record and two more opportunities to get victories. Sahel Anwar’s team took full advantage. 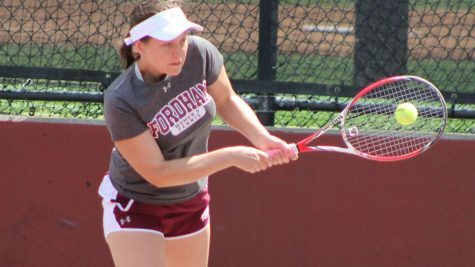 The Rams’ Sunday morning match against Lehigh was never competitive, and Fordham won seven out of eight individual matches. Six of these wins came in just three sets. The question for the Rams was whether or not they could maintain this performance in their afternoon matchup with Bryant, and the team answered this question in a resounding fashion with a shutout performance in which the team did not surrender a set. The 4-1 weekend pushes the Rams’ record to 11-4 with just three matches left in the calendar year. 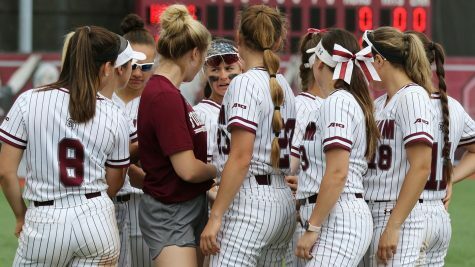 There is plenty of credit to be assigned for Fordham’s success, but it boils down to consistency from several key players. Freshman Patrick Rodden has manned the leadoff spot for all but two individual matches, and he has gone 10-3 in that spot. Deckoff and senior Justin Esposito are both 11-4. Panchiello has won 10 of his 14 matches to start the year, and another freshman, St. Louis’ Winthrop Reed, is 10-5. 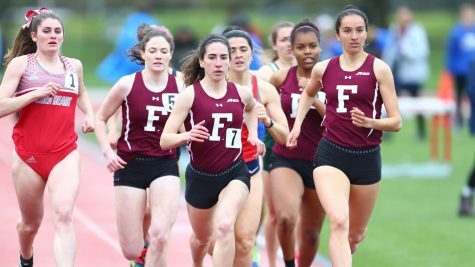 Players both young and old have stepped up in the early going for Fordham. 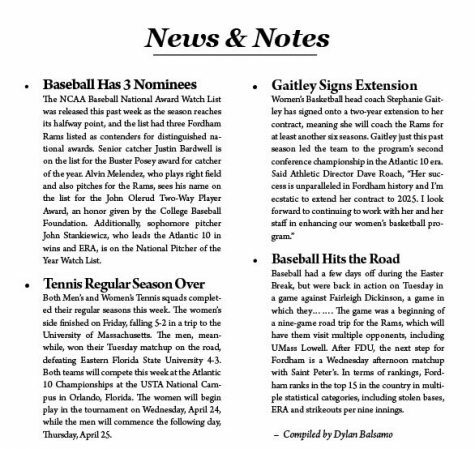 Next up for the Rams is a three-game slate on Saturday against Duke University, Siena College and Colgate University. These three matches will be the last three of the year for Fordham, as after Saturday, the team does not play until Jan. 19.